I believe that exposing unvarnished truth is the single most important thing. The co-opted mainstream media must be forced to change or be made irrelevant. Share carefully written blogs with others and, whether you agree or disagree, participate in civil online conversations. The corporate media folks pretend they have a monopoly on determining news and they claim ability to direct the agenda. The public disagrees because, while traditional media properties lose audience members, readership of blogs like In-Sights, Harv Oberfeld’s Keeping It Real, RossK’s The Gazetteer, Laila Yuile’s No Strings Attached and others steadily gain readers. For the month of March, readership at this blog is more than three times what it was in March 2011, ten times the readership of the same month in 2010. I know that readers are becoming ever more engaged by new media and more dismissive of the traditional sources of news and commentary. The corporate media pretends that online journalists don’t exist or should not exist. I enjoy their reaction because the numbers of readers here tell a different story. AGT also reports that visits to his site have reached record levels, attracting people from all political persuasions who share a demand for ethical behaviour by politicians and civil servants. The following material was first published here October 30, 2009. Attitudes of the participants haven’t changed, their disrespect for audience members is as strong as ever. However, their own credibility has continued to wane. Norman….Did you read Vaughn`s column today? He lied, a deliberate lie…Check it out..Vaughn claims the deficit announced after the election was $1.2 billion dollars…. The HST will cost at most $10 per week per family. He was spinning for it. Norman…Ehen did our deficit go from $2.8 billion to $1.2 billion…. It looks like he has deducted the Bribe from Ottawa…Problem with that they didn`t announce the HST bribe until late August…And..
On another note….A law suit has been filed by business to Squash the HST petition!!!!! A judge will decide…I hope the judge rules the HST initiative/petition invalid…Why? Norman…I am going to be gone for a couple of days…Would you do me a favour and look into this? What a mistaken strategy by the Liberals' puppet masters. They wish to stick their collective fingers in the eyes of BC citizens. The crisis is not with tax law uncertainty, it is about a government that has lost faith of the electorate. That should worry the business elites because ultimate political reaction will cause them more pain in the long run. Campbell and Hansen approve of the court action because it gives them a proxy waging the war they dare not wage. Don't for a moment think the business councils and the Liberals are not walking in locked step. So the BC Chamber of Commerce is one of the parties fielding this judicial review, and two of their members are B.C. Hydro and B.C. Ferries. We had some discussion here over a glass of vino and are somewhat perplexed. The Rail for the Valley blog has been up and running for a year and a half, providing factual information on light rail; transit news from around the world; opinion pieces on local rail transit issues; and a spattering of transit history. The SkyTrain lobby has been incensed at the RFV blog and have done all they can to discredit 'Zwei' who writes many of the posts. The SkyTrain lobby has gone so far as writing libelous posts under the name Zweisystem and/or members of RFV in various Newspapers comments and blogs and made slanderous comments on radio stations. What puzzles me is why go to all the trouble in doing so? The time and effort to dream up ever new dirty tricks reveals to me that the RFV blog has been attracting attention from local politicians, etc. and the SkyTrain lobby, afraid to lose their 30 year monopoly on transit news are running scared. What Palmer and Baldry are afraid of is threat the 'blog' is becoming one hell of a lot bigger than the newspaper and radio and they too are scared as hell. I lifted the comment from Zweisystem to the front page, making it the core of a new article. It took me quite to spot Palmer, he is very subtle, however the bias is there. I learned a while back, that Baldry and Global TV, aren't quite up front, so, I seldom watch that station. It's a sad state, when citizens dare not believe, just any media. 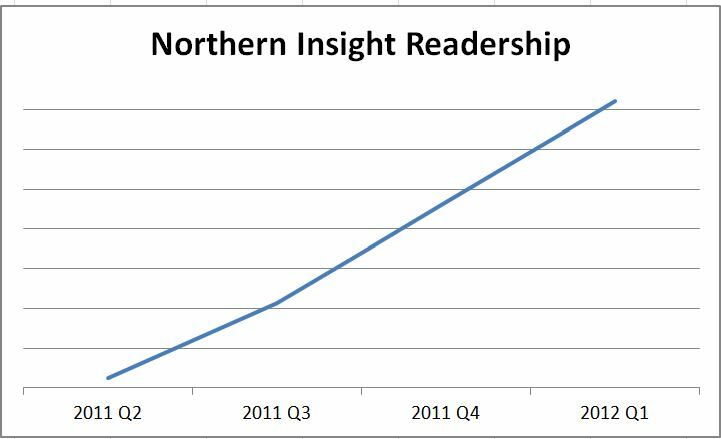 As a loyal reader(fan) of your blog I can't express how pleased I am to see your readership numbers skyrocket. I also congratulate other bloggers for their efforts and success. This gives one some hope we can turn the tide of corruption in this country. Hats off to you Norm. On issues such as the Basi-Virk cover-up, the lay members of the public, without legal experience or the resources to FOI or seek relief through the courts…Well, let's just say we're grateful to the bloggers who present facts. Obviously the internet can be a Pandora's box full of deceit as well. Sometimes we can trace the sources of information through links presented on blogs to Statscan or elsewhere to verify what we are told. In other cases, where unnamed sources are present, the lack of a lawsuit may be taken as circumstancial evidence of truthfulness in general, though it's hardly airtight proof of every word. I have long wondered why our friend AGT hasn't been sued, and asked Falcon himself, but received no response. People must exercise care in taking information from any source. Many writers in the corporate media are shills too. For example, can Les Leyne be believed in anything if he has demonstrated willingness to repeat falsehoods? Can the Times Colonist be trusted since they published misinformation that could have been fact-checked quite easily? I suppose their answer would be that the lies were attributed to the speaker so publishers should be relieved of responsibility. Here, I try to provide links to sources that help me form opinions but this site is mostly my opinion. People may disagree with my conclusions but they'll never find that I fabricate material or use details known to be false. The reason that AGT has not been sued is that he is mostly writing about crooks in public life who don't dare to expose themselves to an examination for discovery in pre-trial sessions. There is enough information leaked into the public domain that liars could not avoid convictions for perjury. Don't underestimate Tsakumis. He can back up what he says and he's got enough resources and balls to take this story to its natural conclusion. All the fellows in the MSM are wearing there slacks backwards with the flies open. This is in case Herb and his fellow ministers get the urge. Herb the hillbilly would say sweat like a pig. Boy don t we need deliverance from evil. The Rail for the Valley blog is still going strong and is recognized overseas as one of the better transit blogs around. Though transit maybe an arcane subject with many and the scope of the RftV blog is limited to a small cadre of transit types, we are uncovering some local scandals…. ………that may account for TransLink's love affair with SkyTrain. Of course the three amigos, Boring, Balderdash, Palmed, would claim that Zwei is a wing-nut as well, funny thing is, if the bloggists are not telling the truth, take us to court for libel. Maybe it is because we are telling the truth. Better to rant in your underpants than stand naked and exposed on the Dull Edge, Vaughn. There are nincompoops who blog to be sure, but I have yet to hear you or the other two coasting into retirement with you on the Dull Edge deal with one specific issue raised by Norm, Alex, or Harvey that would earn them the “Nincompoop”, “Weirdo,” or “Nut Case” label. Those are the bloggers that are eating your lunch, and unless you are prepared to deal with specific bloggers in more specific terms, your taunts are more an indication of cowardice than anything else. I would love to see the exalted three from the Dull Edge in a televised debate about BC Rail and other current issues with Norm, Alex, and Harvey sitting across the table. It wouldn’t take very long to see that it’s really the Empty Edge you inhabit. Man that would be fun! And to Norm..I promise I don't underestimate AGT. I'm a big fan of his blog and yours. Oh really…to this group of MSM “journalist's”…people out here do not “rant” as it were. You would be surprised, who really is, “watching”. People in this day and age, are beginning to peel back the “veil” of power and corruption, in our society. “watchdogs” at the gate. Now, you have been co-opted, by either your employers or those that seek to hide their illgality, and their own agenda's. Having lost your “moral compass”, you seek to steer the “sheeple” in mainstream society. To “manipulate the truth” to suit the “agenda”. You are not part of the solution, you have become, part of the problem. Those of us, who want to see ethics, justice and truth, in our society, are turning away from the MSM, because it no longer serves the people. It has become a tool of propaganda, for those that seek to hide from, “the light of reason”. Norm, Alex, Harvey, Laila and others, are offering the “sheeple”, another more viable alternative, than the MSM provide. Kudo's to them and thankyou many times over. Keep up the fight and the faith. Evil fears the light of reason, and runs from “real” truth's. To those that think that manipulation of the people, they are supposed to serve is a “game”, ask anyone who was involved in an Arab Spring, uprising. Their belief in a strong, moral and ethical democacy, led them to their extreme solution. A high price has been paid for “any” democracy. There are those that seek, to manipulate the “game”, in their favor. Criminal behavior is a consequence, of unbridled ego and unethical reasoning. Don't think that the “sheeple”, are not watching….we are. The MSM in BC should be worried and take a look at what's happening down south. CNN just lost half of its viewers for March. Fox News lost 17%. Norm, I just got it and can't stop laughing. I believe we have every right to know who has invested in IPP's and CN Rail. The resources being allocated to private companies are/were in the control of every British Columbian. We want to know who we are selling them to. By name. There must be a word to describe a situation where professional journalists may have a financial position in any of the companies that stand to gain by mis-representation to the general public. “There comes a time when silence is betrayal”.